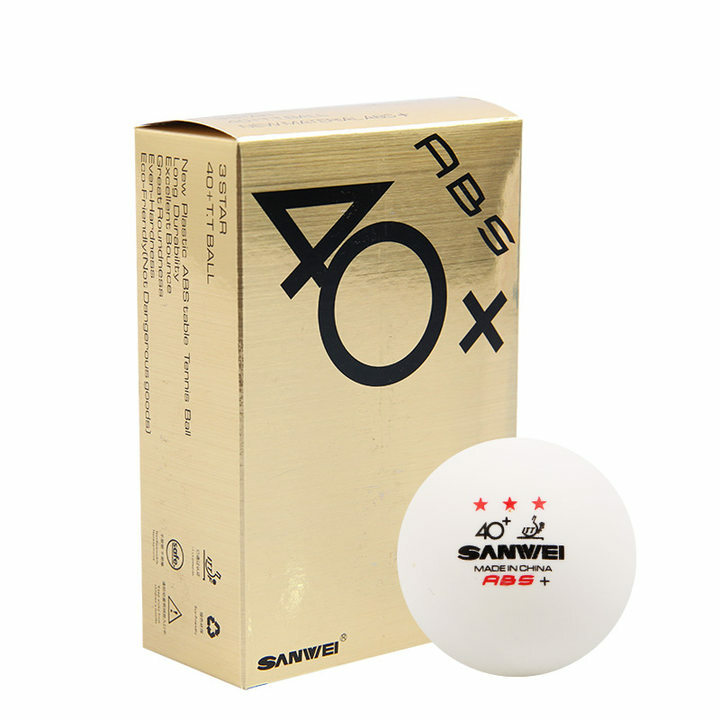 Have anybody tried these new Sanwei 1-star ABS training balls, they're on sale for US$26.95 for a box of 100 on Megaspin. Great price but wonder how they're stacked up against Butterfly or Nittaku training balls. Very likely OEMed by that same factory that makes the DHS ones... Or might be rebranded Double Fish... Nice price, I think that's about what the Kingnik Premium Seamless were going for. -- This China seller made me happy. Sanwei ABS 1star is a great choice for multiball. It feels the same as DHS D40. SANWEI just got quality certificate for their balls (in white) from ITTF. People all love this product. Thanks for the video. His review was so convincing that I went ahead and ordered a box to test. If we like the balls, I will order 2-3 additional boxes. I got my trial box of Sanwei balls and they are pretty good. The bounce is excellent. I can't really tell whether these were manufactured at the DHS factory but they do sound a bit different than the DHS D40+ 3 star balls. So maybe they are made by Double Fish?? In a blind test, if I mix the Sanwei 1 star and D40+ 3 star, it's very difficult to tell the two apart. Overall they are excellent and I will be buying more when I see them on sale.